As all gold prospectors know, gold fields in the world have tough ground conditions. These fields, most of the time, contain high mineralization and hot rocks which cause false signals and negatively affect the performance of metal detectors. FORS Gold+, with its new advanced modes and settings works flawlessly even on the toughest terrains. The new advanced all metal mode of the device along with the new iSAT (intelligent self-adjusting threshold) setting allows for deeper and noise-free detection. Upon target detection, the ID of the target will be displayed on screen just like in discrimination modes. It is the 2-tone discrimination mode designed for tough gold fields with high mineralization or positive hot rocks. It offers slightly less depth but faster target detection and recovery speed in highly mineralized soils compared to the other modes. 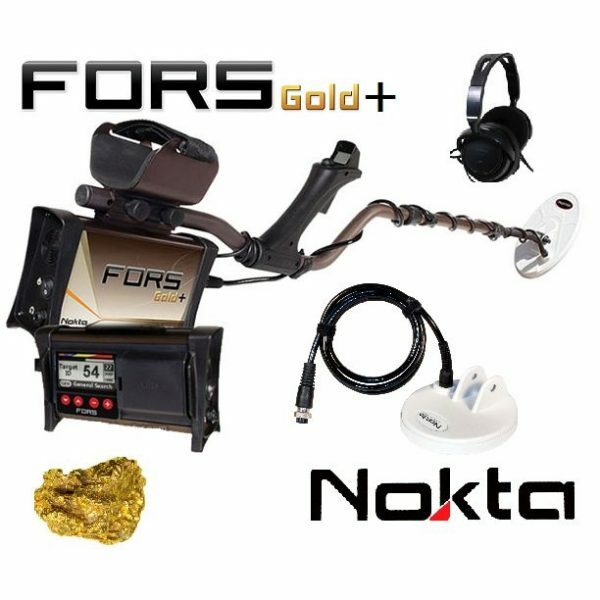 Along with automatic and manual ground balancing, FORS Gold+ also offers ground tracking which tracks the changes in ground and automatically adjusts the ground balance to suit. The visible or invisible changes in ground affects the detection depth as well as the discrimination ability of the device so you can improve the performance of the device by activating this feature on suitable ground.